Situated just a 7-minute walk from Main Beach, A Byron Experience offers a self-catering accommodation with a enclosed courtyard and an outdoor dining area with BBQ facilities. Free private parking is available. 3/33-35 Fletcher Lane, Byron Bay NSW 2481. 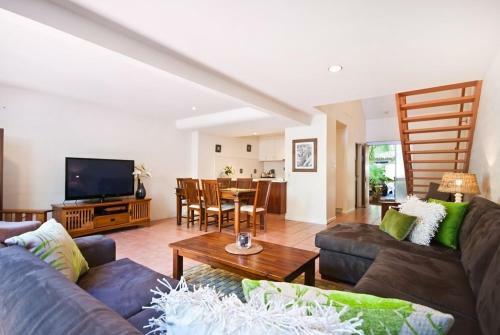 ... A lovely fully self contained two bedroom holiday apartment in Byron Bay. ... The pristine beaches of Byron Bay only a short leisurely stroll from your holiday accommodation. Moondarah - a real Australian Beach House photo 1 Byron Bay ... itself is a simple and rustic beach cottage for an authentic Australian beach house experience.